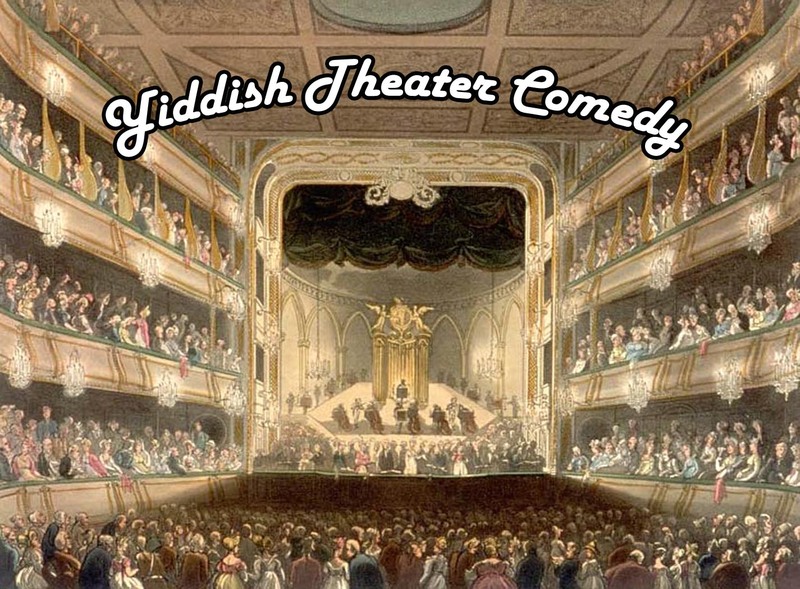 Yiddish musical comedy making a comeback? Who said Yiddish Musical Comedy is dead? Now you can revisit the glory days of the Lower East Side and hear the songs as they were actually sung. The recordings in this special JSA collection were produced on 78 rpm recordings between 1901 and 1922, at the height of Yiddish Theater’s popularity. Four stars of Yiddish Musical Comedy are highlighted: Gus Goldstein, Clara Gold, Anna Hoffman and Jacob Jacobs. Gus Goldstein, an American Yiddish actor of the early 20th century made many recordings for Columbia Records. This JSA collection features 37 of his solo songs. He also made recordings with Clara Gold that focused on immigrant issues and Yiddish humor, and featuring Litvak, Galitzianer and Italian dialects. Clara Gold played character roles in the Yiddish Theater and was known for her comedic performances. She partnered with Gus Goldstein from 1916 to 1926. Forty-four of the songs they recorded together are in this collection. Gus Goldstein also partnered with Anna Hoffman, a well-known comedic singer of her day. This collection includes 7 of their songs. It also features 25 songs that she recorded solo. Jacob Jacobs was known for adding timely dialogue to his Yiddish comedy acts and translating English songs into Yiddish. This collection includes 12 of his songs recorded between 1909 and 1922. An interesting historical note is that in 1932 he collaborated with composer Sholom Secunda on a Yiddish musical comedy, “I Would If I Could.” Although the show was not a great success it did produce a song that would later become the #1 hit, Bei Mir Bist du Shon. If you understand Yiddish, remember Yiddish Theater, or just want a nostalgic journey, you won’t be disappointed. Click here to listen to any of the 14 digitized albums in the collection. Or select one of these favorites tunes: America, Ich Lieb Dich; Ich bin a boarder by mein vieb; Yente Telebende. These albums are not available for sale or reproduction but can be heard in their entirety on the JSA website. I wanted to let you know that it is exciting to find that so many of his recordings still exist and are featured and available here. I have some of 78 rpm records too (with Clara Gold, solo, one is a duet with one of his sons and another is a Yiddish version of “Yes, We Have No Bananas”). I pointed out to the NYPL/Dorot Jewish Division that the portrait on the poster above Gus Goldstein’s name is not him but the portrait to the left does appear to be him. Likewise, I don’t think the portrait you display along with his on-line recordings is him. Please correct me if I’m wrong. Please let me know if I can be of any help. Thanks for your comment. We are delighted to share the talents of your grandfather, Gus Goldstein, with Yiddish Theater lovers around the world. I believe the picture we have on our website is the correct one. We used the Encyclopedia of Yiddish Theater (Leksikon fun yidishn teater) by Zalmen Zylbercweig to verify his identity. We also had one of our Yiddish-speaking volunteers verify that although the name “Gus Goldstein” appears below a portrait of a man on the poster you mention, the man is not Gus Goldstein. Our photo seems to be an older version of the other man (who you identify as your grandfather). Just to let you know that I have transliterated all of the names of those who are biographied in all six volumes of Zylbercweig’s “Lexicon of the Yiddish Theatre.” I have also translated (more or less) the captions of the nearly four hundred photos (this doesn’t include the portrait photos that appear with the individual biographies) and drawings that appear in the six volumes. While their is no searchable database online, anyone who needs a look up can contact me. I have listed the names of the individuals (and theatrical organizations), i.e. surname, given name, alternate name(s) of course, as well as their dates of birth and death and city/town of their birth (all when available). I also list the page numbers,i.e. not only the page number in the original volume that the biographical material appears on, but also the pdf page no. for the online version which currently exists, thanks to the Spielberg Foundation. You can contact me, Steve Lasky, the Founder and Director of the virtual Museum of Family History at steve@museumoffamilyhistory.com . There is also a rather large exhibition within the Museum about Maurice Schwartz and the Yiddish Art Theatre. The URL of the website is http://www.museumoffamilyhistory.com . You might also want to visit the interactive map for the Musuem’s Second Floor which is dedicated to the Yiddish world.